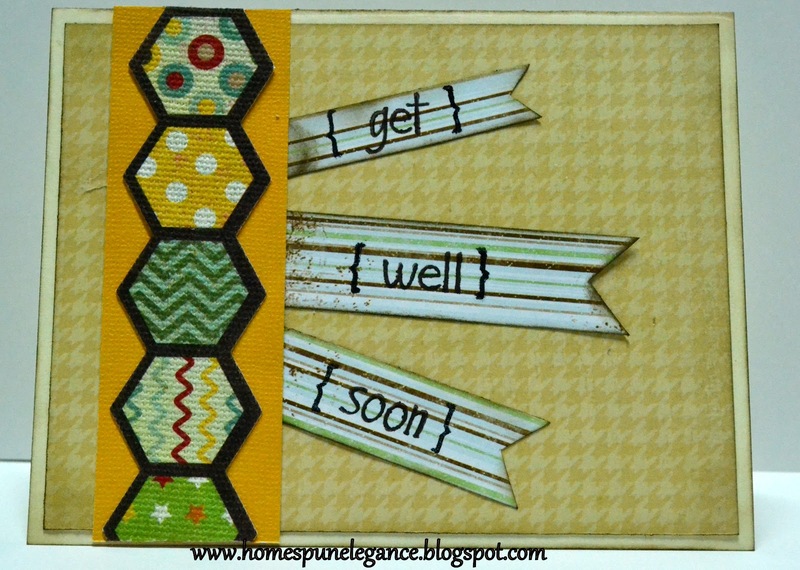 Homespun Elegance: Get Well Soon! 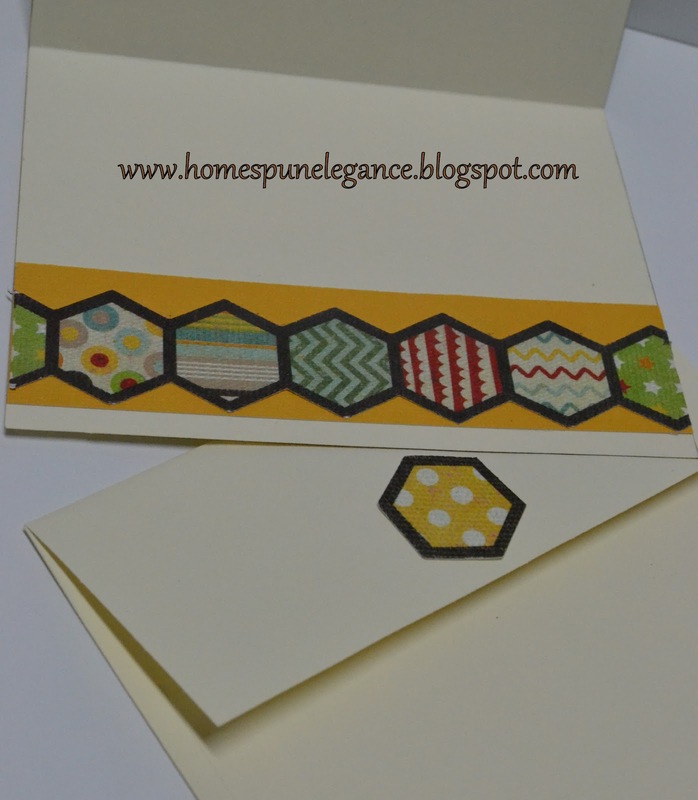 I love making the envelopes coordinate with the card, So I simply cut Two extra Hexagons, and placed one on the front of the envelope and one where it closes. Very Simple Card!! Hi Jess! Awesome card. I really love how you showcased the the hexagons. I love the paper, what collection is it? How is everything going btw? I get the magazine and really enjoy it. Ohhhh..what a caaute card! Love the hexagons and papers! Great job, girlie!! 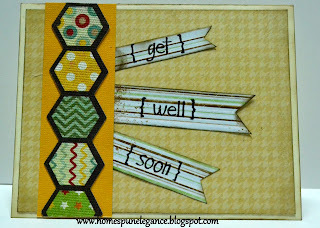 HI Jessica!Awesome card!You Rocked this one...again! !